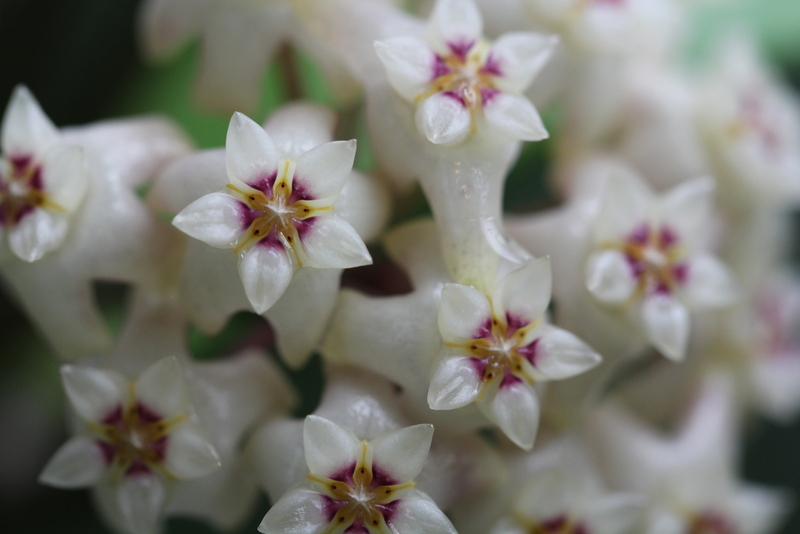 Hoya ridleyi is a plant that I can tell you very little about since there is so much conflicting information on the Internet. I can tell you that it is an easy to grow Hoya and that its IML # is 0146. I obtained the cutting from Joni at SRQ Hoyas and it grew well and flowered for me at around two years of age. The leaves vary widely in size from around 3 inches (7.6cm) to 5.5 inches (14cm). The flowers last around a week and have a terrible fragrance not at all like perfume. The plant has beautiful foliage and great form. It would be a great plant to add to any collection!